Cayton 2nds' Josh Brown falls victim to a Jonathon Atkinson delivery. Picture by Steve Lilly. Ian Atkinson was in stunning form with the ball for Ebberston 2nds, his 7-21 helping them to a low-scoring victory at home to Fylingdales in Division Two. Ebberston looked in huge trouble at tea after Fylingdales' John Maine's sensational 4-1 and Tom Shrimpton's 3-44 saw them all out for just 78, that despite Jordan Welford hitting 41. But Atkinson rescued the home side, his 7-21 ensuring Fylingdales were all out for 69, falling agonisingly short of their target, Graham Kettle hitting almost half of his side's tally with 32. Bridlington 2nds beat Wold Newton by eight wickets. Peter Bowtell was the star man with the ball for Brid, claiming 6-28 as Newton were skittled for just 96, Dave Southwell hitting 33 and Adam Stubbs 27. Elliot Traves hit 40 and Will Watts 27 as Brid cruised to 98-2 after tea to claim the win. Sewerby 2nds won by four wickets at Cayton 2nds. Cayton were all out for just 112, Louis Atkinson taking 3-16 and Vince O'Grady 3-33 as only Simon Glave got going with the bat with an unbeaten 30. Andy Smith hit 46 and Isaac Coates 26 as Sewerby edged home to 113-6 in reply, Glave doing his best with the ball as he took 2-22. Seamer 2nds won by 56 runs against Wykeham 2nds. Darrol Lewis (37) and Matty Sheader (33) were in form with the bat as Seamer posted 181 all out, Tom Owen (3-28), Sam Owen (3-30) and Ian Thompson (2-49) among the wickets. Pete Shepherdson hit 34 and Tom Poor 26 in reply, but Sam Collinson (3-29), Archie Graham (3-35) and Steve Winwood (2-16) all shone with the ball to ensure Wykeham fell short on 125 all out. Snainton continued their fine start to the Division Three campaign as they beat Muston by six wickets. Muston were skittled for just 95 as Leigh Watson claimed 4-19, Rob Lawrence hitting 43. Matt Davies' unbeaten 21 then guided Snainton to 96-4, Scott Orange and Lawrence taking two wickets apiece. Mulgrave 2nds hammered Ravenscar by eight wickets. Will Warwick hit 23 for Ravenscar, but they were all out for just 50 as Dom Ingram claimed stunning figures of 5-5. Simon Kipling then hit an unbeaten 30 to help Mulgrave to 51-2 despite Jon Murrell's 2-35. Flixton 3rds were winners by seven wickets against Nawton Grange 2nds, Callum Hatton playing the starring role for the victors. Grange had no answer to the bowling of Hatton, who took 6-24 as the visitors were dismissed for just 115 despite Terry Ellis' 45. Veteran Geoff Hill then hit 59 and Pete Hill added 27 as Flixton cruised to 116-3. Flamborough beat Heslerton 2nds by 60 runs. Harry Gunning's 62 guided Flamborough to 137 all out, M Thorpe taking 6-36. Gunning then took 3-20 and Jack Newby 2-8 in reply as Heslerton were all out for 77, David Bointon hitting 34. Forge Valley 2nds conceded their game at Cloughton 2nds. Forge Valley's 3rd team game still went ahead, despite their 2nds calling off, and Eric Hall hit a century to help them to a crushing win against Malton & Old Malton 4ths in Division Four West. Malton posted 126-8, Dan Metcalfe hitting 39, but Hall crashed 104 not out in Valley's reply of 129-1. Ganton 2nds beat Sherburn 2nds by 89 runs. Phil Elliott led their charge with the bat, hitting an unbeaten 43 while Dan Reardon hit 42 and Freddie Lockwood added 41, Dan Bean taking 3-41. Although Bean hit 32 not out in reply, Freddie Bradley (3-20) and Lockwood (2-20) chipped in and Sherburn were all out for 107. Thornton Dale 2nds were winners by 38 runs in their home game against Wykeham 3rds. Jon Cooper's 33 helped Dale to 145 all out, Luke Eustace taking 4-54 and Robin Shepherdson 3-15. Wykeham were all out for 107 in reply, Max Lane hitting 33 while M Dawson took 3-6. Brompton 2nds conceded their match against Pickering 4ths. Aussie ace Rhiannon Graham guided Filey 2nds to a comfortable eight-wicket win at Scalby 3rds in Division Four East. Her 32 helped Filey to 111-2 after Scalby were restricted to 110-8, Nathan Vernon taking 5-20 and hitting 28, with Lee Plant taking 3-20 and Lewis Adams also weighing in with 28 for his side. 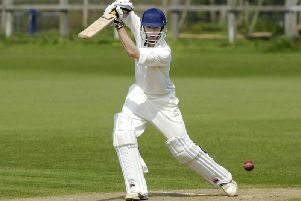 Wold Newton 2nds edged to a two-wicket win at home to Ravenscar 2nds in a low-scoring contest. 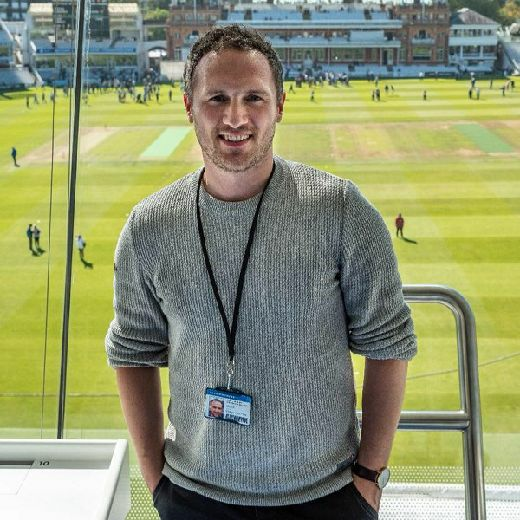 Ravenscar posted 108-9, Luke Stokoe hitting 28, before taking 4-26 along with John Nelson's 3-14, but Chris Hodgson hit a crucial 37 to help Wold Newton over the line on 109-8. Scarborough 3rds conceded their match at Cayton 3rds, and Muston 2nds failed to raise a side for their trip to Silver Royd to play Scarborough Rugby Club. *Pickering III v Kirkbymoorside – No Result Received from Pickering.